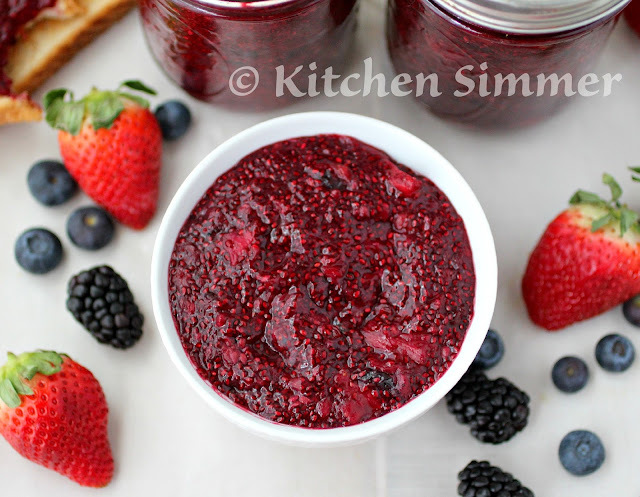 I love this Very Berry Jam with Chia Seeds on hot buttered bread for breakfast or even as a snack. This jam is so easy to make and you will love all the flavor it has with each bite. The chia gives you some added fiber so it starts off your morning with something that will keep you full until lunch. I get so happy when berries go on sale at my grocery store. I stock up because we use them in smoothies and eat them over yogurt. 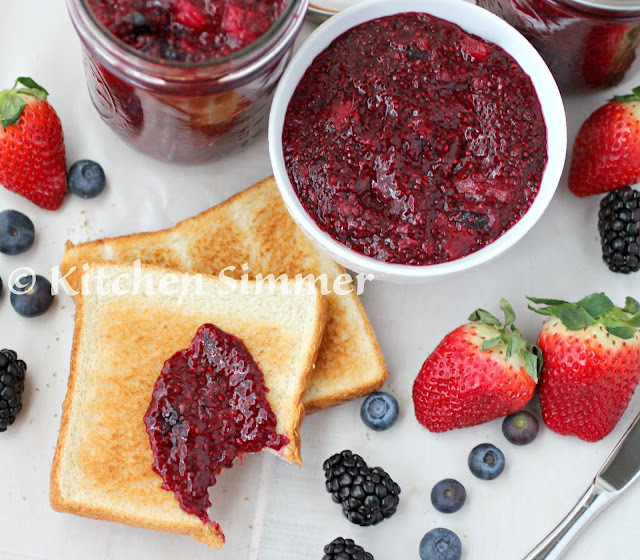 Sometimes we can't eat them fast enough so I either freeze them for smoothies later on or I make a quick jam like this Very Berry Jam. 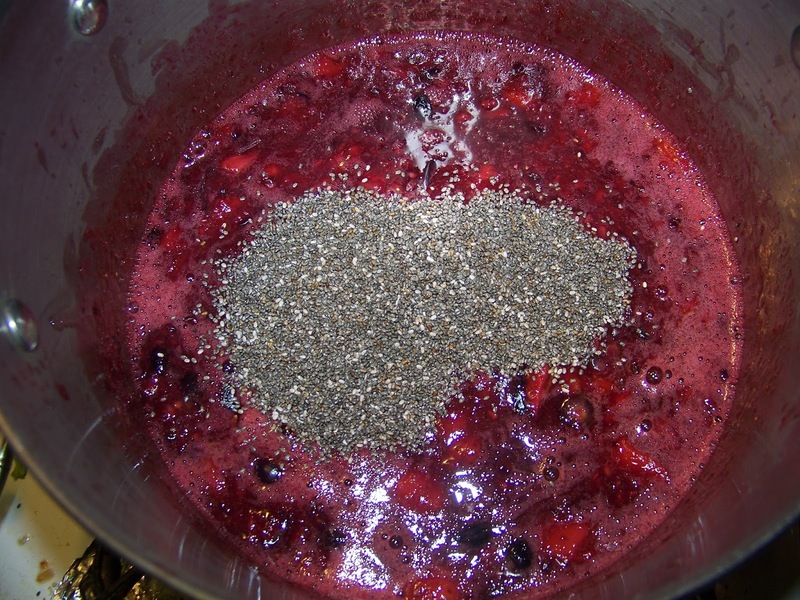 The chia seeds are fantastic because they actually thicken the jam for you naturally. Now this jam is not just meant to be eaten over toast. 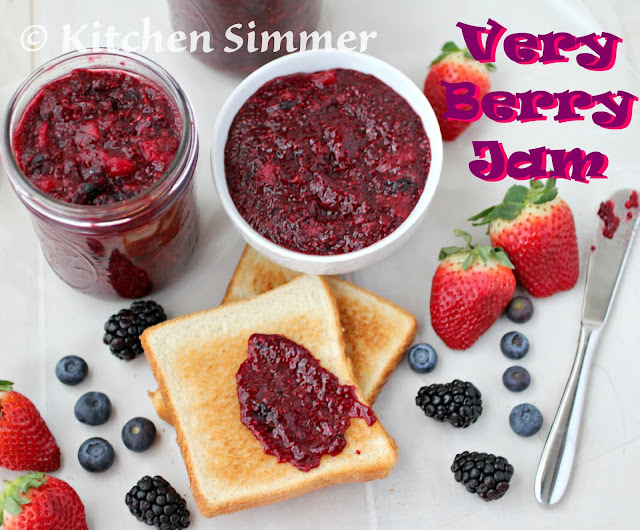 I even used this jam inside a trifle recipe and it was a fantastic addition. You can also stuff it inside two slices of bread and make stuffed french toast or over waffles instead of syrup. Any way you eat it... it will make you smile. 1. Wash and prepare all berries. 2. 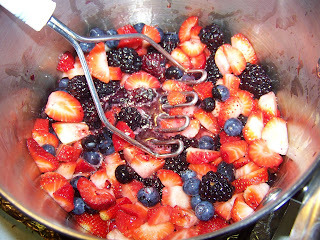 Place berries in a pot on medium heat. Allow the natural juices to come out. 3. When berries start to break down, add the lemon juice and start to mash the berries (to desired texture) with a potato masher..
4. Turn stove off and add chia seeds and stir well. 5. Allow jam to cool and put into clean jars/container and store in the fridge. 6. Allow jam to set up overnight for best results before use. 7. Keeps refrigerated up to 2-3 weeks. I'm a sucker for a good homemade jam. This looks fantastic! 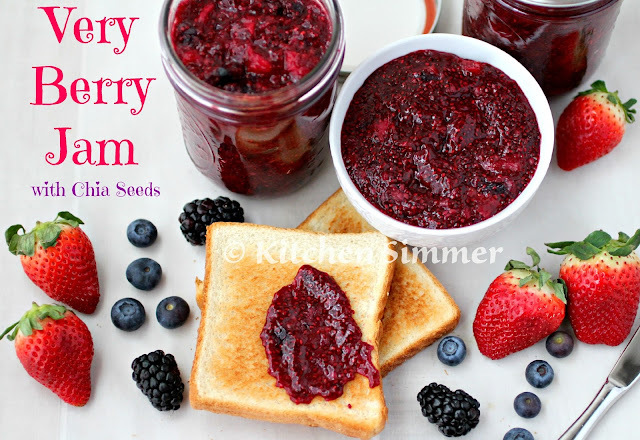 I love this Very Berry Jam with Chia Seeds too Ramona! Love your addition of chia too it! Homemade jam is the best! 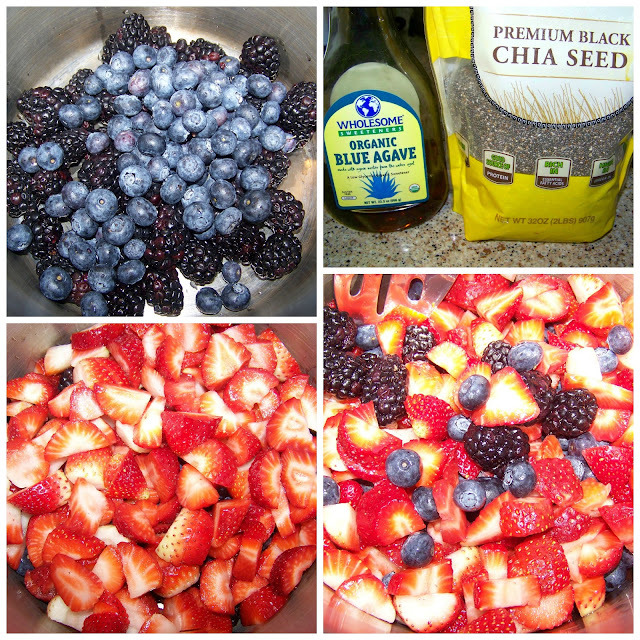 Great idea to add in chia seeds! I would love this in stuffed french toast! Delicious Ramona! I love the flavor that comes from using a variety of berries! And your jam would be a welcome addition on my morning toast! What a tasty reminder of summer! This would be perfect in stuffed French Toast.